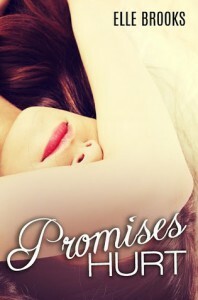 Promises Hurt - Fangirls Ahead! From all the 5- and 4- star reviews, I was expecting this to be a book about promises (obviously) and how three can't keep a secret unless two of them are dead. What I got instead was…well, I don't know. What's the point of putting the characters (and the readers) through all this teenage angsty sh*t? What's the message in this book? And where’s the plot? Because don’t tell me that those lame “secrets” that anybody could have predicted are the PLOT. Also, that ending was just a cheat. There was literally NOTHING happening in the book, and suddenly it ends with a cliffhanger? Puh-lease. NOTE: I got this book for free from the author in exchange for an honest review. Thanks, Elle!